Local cerebral glucose utilization (LCGU) was measured by the [14C]-deoxyglucose autoradiographic method in rats with congenital hydrocephalus before and after V-P shunts. 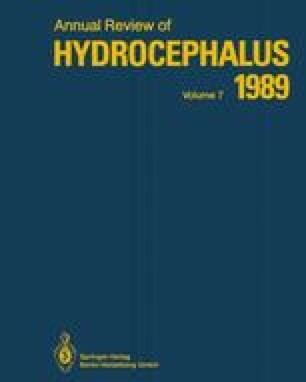 As the hydrocephalus continuously progressed, body weight and motor activity were rapidly decreased at the age of 4 weeks. When hydrocephalus was treated with V-P shunt at this age, the animals increased their food intakes from the following day and motor activity increased rapidly together with body weight.